Looking for something bigger ? The largest mono hull sailing yacht available for charter on the Gold Coast. Enjoy a Sunset Cruise with nibbles or dinner and then have the option of chilling out and spending the night aboard. Contact Michael on 0412 794 643 to check availability and further details. 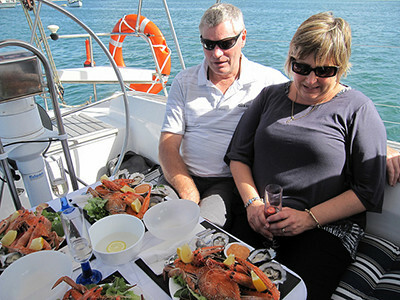 We specialise in taking small groups and couple’s aboard our lovely yacht and introducing them to the sights and sounds of the calm water of the Gold Coast Broadwater. 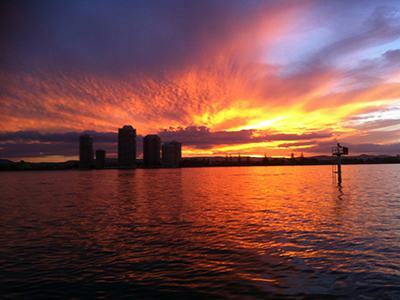 Our signature sunset cruise is a perfect way to end a busy day on the coast. With a glass of bubbles in hand and a competent crew, how could you not feel relaxed? Enjoy the skyline and hinterland colours change, as day turns to night and the city lights begin to shine. We also offer day time cruises to take in the many sights. Bird life, beaches and other pleasure craft of all shapes and sizes.